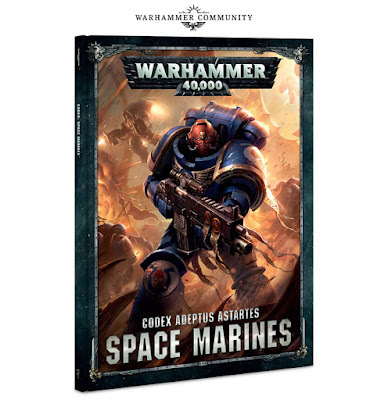 Greetings - welcome to the next part of my space marines codex review - this time we're looking at fast attack choices, probably one of the more limited sections of the book (ironic since space marine are supposed to excel at lightning assaults eh?). Without further ado, let's get into this then shall we? Greetings all! Well I've got a massive picture dump for you this week! I got some stuff on the finished bench last week and there's loads more progress this week too for you to enjoy! Compliments gratefully received! 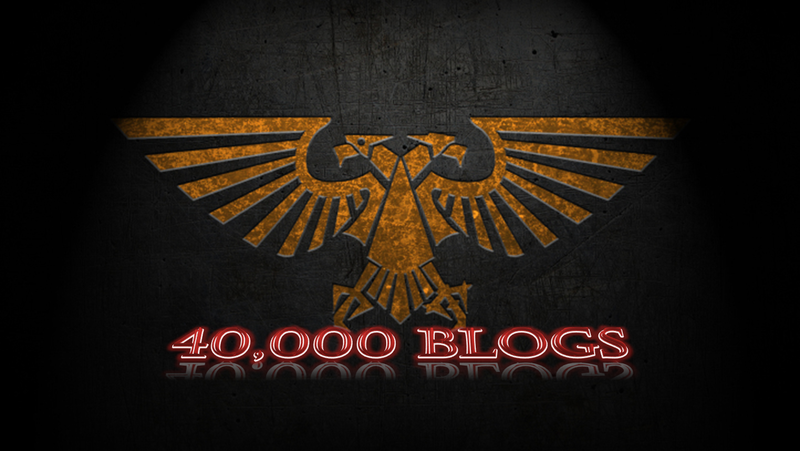 Greetings all, welcome to part 4 of my Space Marines codex review - the single-model elites choices. Greetings all - welcome to the third part of my space marine codex review - this time I'm looking at the troops section, and the elites choices that come as squads rather than single models. Enjoy! Greetings fellow hobbyists! 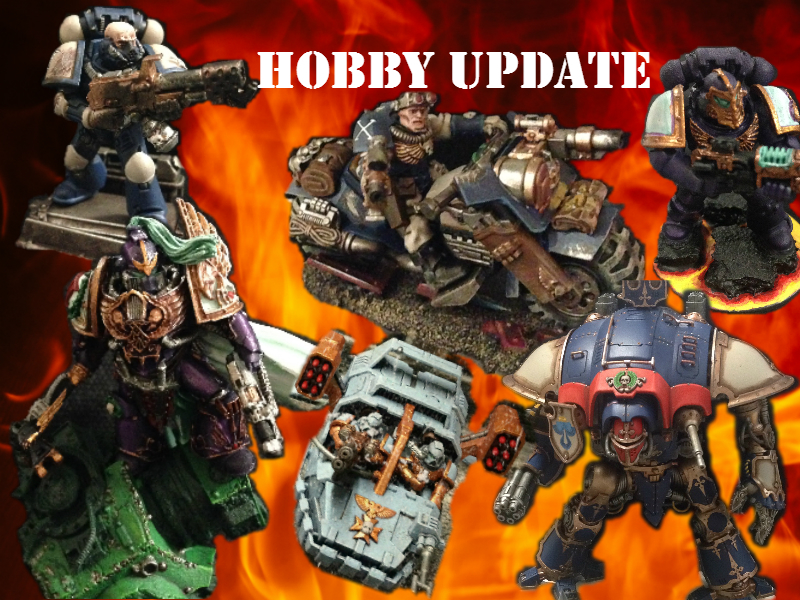 It's fast approaching that time of the year again when the hobby season renews. The hobby season is something I've watched from afar for a few years now, run by Dave Weston over at http://www.40kaddict.uk, and last year I decided to dip my toe into it on my own blog. As the season comes to a close, I thought I'd take a look at how I got on. Hobby update 21/8/17 - nice to be able to put a few things in the finished pile! Greetings all! Well last week has certainly been a busy week in my painting den, let's have a look at all that lovely progress shall we? First up, as I've been working hard on getting my devastators up to snuff, I figured it was probably a good time to get some sergeants done for them too and to stop borrowing my tactical squad sergeants instead. First up we have Sergeant Camilo, of Squad Noveno, Hazard Company. Since this photo was take he's had his bolter barrels drilled out, so all that needs to be done before he's totally finished is to add a back banner. This is probably one of my favourite Sternguard models, from the old metal veterans kit. I'm so glad I kept hold of them and didn't sell them on as I have done with a few of my older models. Apologies for the funky colours, these pics were taken on my phone at work, and the lighting there mean I had to tinker with the colour settings to get somewhere close to true. The other Devastator Squad sergeant is Sergeant Adan of Squad Decimo, Hazard Company. As his name is derived from some language and means 'red' I figured he ought to have a red robe, though I'd normally reserve those for command models. I like to think it's perhaps because he's the senior sergeant in the company structure. Next up we have a lieutenant from Strike Company, Lieutenant Clors (yes, I named him after deciding his robe looks a little like Santa). He'll be a patrol commander when I look to take smaller armies to the field, the jump pack allowing him to command from on high yet still be swift enough to support any squad that needs it. Again, I've been taking pics at work and the one below probably best represent the actual colours on the model, which I took last night in my garage under better lighting conditions. Next up we have the full pic of Squad Noveno supporting elements of the 2nd and 4th Companies under the watchful gaze of Lieutenant Clors. Not sure how the lascannons got finished before the missile launchers when they were started much later, but that happens sometimes when you're a painting butterfly like me! And yes, for the sensitive amongst you, that is a Dark Angels banner - I like to think the Dusk Knights are reinforcing another loyalist force rather than betraying them however! No prizes for guessing what the next stuff to be added will be! I've been hacking various bits about for a few days putting all kinds of scouts together. Turns out I've actually got quite a lot of 10th company models lying around, guess I need to get back to my naming spreadsheet! Almost there, I promise! This is Captain Jax Iago of Strike Company, which is the crusade company of the Dusk Knights and I fully intend them to use the Black Templars rules on the field of battle - the idea behind it is the Dusk Knights like to maintain the crusader traditions of the Black Templars and Sigismund's original coterie in the Imperial Fists. As such, 2nd Company is permanently on crusade, and responsible for their own recruitment and munitions, materiel etc. Basically it lets me use the two forces together without having to go through a whole new paint scheme to use Black Templars. 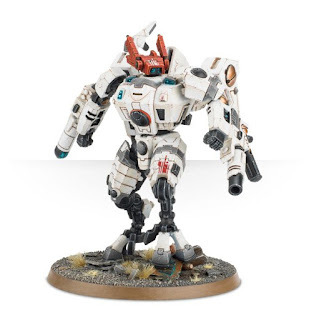 Meaning that actually, I can switch this model out when I don't just need a company captain with jump pack to throw on the table alongside Chapter Master Regulo and Captain Alvaro, and he can actually be used as an Emperors Champion (seriously, have you seen their rules now?) Whilst I'll put together another model for Iago when I want that to be the case. Sorry if that was a bit pic-heavy, hopefully next week I'll have some servants of the Blood God to show you, along with some more finished Vanguard Veterans. Ok people (see, I'm channeling the spider now! ), let's get down into the nitty gritty of this here book shall we? 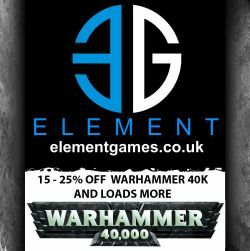 Enough of the fluffy stuff, what can the new marine codex actually offer me? 8th ed. Space Marine codex review part 1 - what's new? 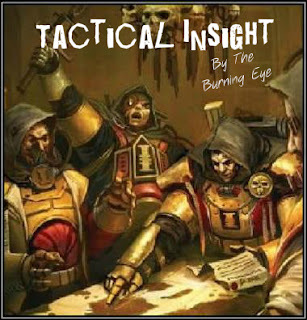 Greetings all - it's about that time now I think, when I've had enough games with the 'new' space marines that I can start to talk with confidence about them in 8th edition, what's good, what's not so good and how to get the most out of the army in your games of 40k. I'm going to write this article in a new way for me, so please as ever feel free to give your thoughts and comments on the style as well as content in the section below. As you probably know, I like to keep an eye on the various blogs out there and am sometimes inspired by what I read to write an article of my own on a related topic. As much as I love seeing hobby updates etc I think this is one of my favourite things about being a blogger - the way one article can inspire others and a whole discussion results across several blogs. Greetings all - welcome once more to my weekly look at the stuff on my hobby table. At the moment, in amongst working on commission stuff I'm trying hard to get the Dusk Knights into a place where I can field fully painted armies in my games once more - thanks 8th! More after the break. 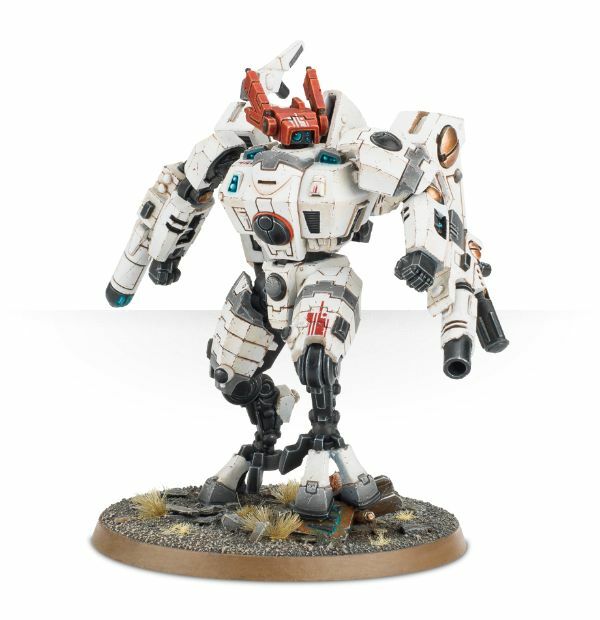 2000pt Tau list - comments and critique requested! Greetings all, so after asking for advice and comments on my Genestealer Cult list, here's the other list that I've written that I'm looking for help on, this time it's my Tau force. Morning all! today's post is something slightly different on the blog. For a while now I've had a desire to put together a genestealer cult force, going to the lengths of picking up some characters and models for it, though I've since sold some of those to a mate who was in search of some additions to his own army. The release of the Primaris Marines saw me take a bit of a side-step for a while, and with commission work and my own dusk knights this army has taken a bit of a back seat. Now that I'm settled into 8th edition however, I'm looking to expand my army options once more, since at the moment I'm basically stuck with marines, or marines. Don't get me wrong, I'm a staunch Astartes fan at heart, but I also like a bit of variety. First of those on my list is the Genestealer Cult. I'd got all sorts of plans prior to 8th edition hitting, and actually my first list I wrote having seen the indices was for the Cult, but I've learned a lot since then and I would say that list would be appallingly bad now. So here's my 3rd recent (4th overall) attempt at a GSC list, set at 2000pts. What I would like would be for those of you experienced in using the cult and having played some games with/against them in 8th to give me a few pointers before I start committing to buying stuff! Well, here we are in August already - that didn't take long did it! I didn't have quite the painting time this last week that I normally would, but I still got a few things done. I'll be having a bit of a review of what's still on the table I think later on this week, probably including some pics of all the units I'm still working on getting done, but for now there's a quick look at what I've been up to recently, and a few broad plans for the future (subject of course to change at GW's whim next time they release something shiny I want). Time for another quick battle report my friends - this time I was up against another space marine army. Supported by a Ceratus Knight Castigator! Argh! Find out how I got on after the break. Right, so having had a pretty successful reception for my assessment of the previous tactical objectives deck, I figured that with a new edition, I'd have another look as the deck has changed slightly and the implications for each set of objectives has accordingly changed as the nature of the game has altered.